U.S. Rep. Sheila Jackson Lee and state Rep. Jarvis Johnson joined Houston-area law enforcement officials to talk about policy with the community after the March shooting of Danny Ray Thomas. HOUSTON — Terrance Koontz stood, megaphone in hand, at the intersection where Danny Ray Thomas lost his life. “We want to change the policies that allow the police to kill black and brown people at will,” he shouted during Monday evening rush hour at the cars who drove over the asphalt where Harris County Sheriff’s deputy Cameron Brewer hunched over Thomas after he shot and killed him less than two weeks ago. Koontz’s chants — along with the signs his coworkers at the Texas Organizing Project held up calling for “no more bloodshed” — got polite honks and a thumbs up from passersby in the north Houston neighborhood of Greenspoint. Others handed out flyers for a town hall later that evening to discuss potential policy changes with local politicians and officials stemming from the latest officer-involved shooting of an unarmed black man. 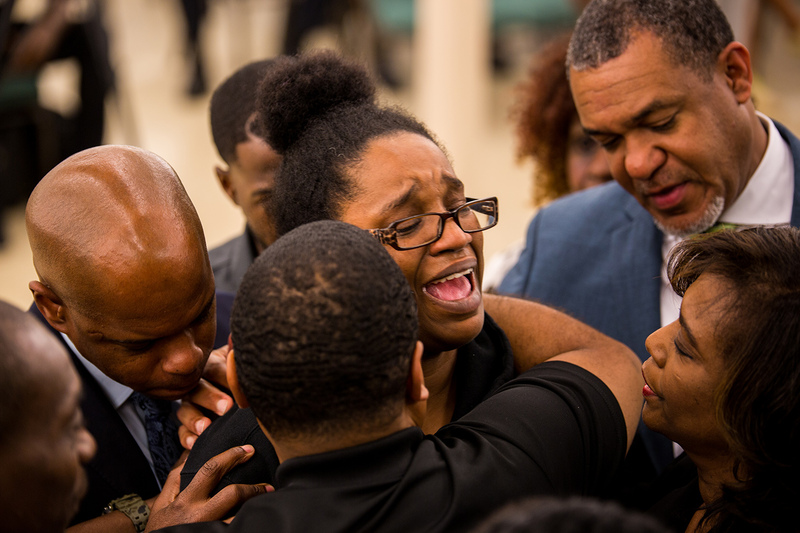 U.S. Rep. Sheila Jackson Lee and state Rep. Jarvis Johnson, both Democrats from Houston, joined Harris County Sheriff Ed Gonzalez and representatives from the county’s district attorney’s office and the Houston Police Department at a community meeting Monday night at a local church about a mile away from where the shooting occurred. Last month, Brewer, who is also black, shot and killed Thomas about 20 seconds after he saw Thomas and another man struggling in a busy intersection. When the deputy got out of his car and yelled, Thomas approached Brewer, unarmed and with his pants around his ankles, and Brewer filed a single shot, according to video from Brewer’s dashboard camera. The shooting garnered national attention, occurring within a week of Sacramento police killing of Stephon Clark, an unarmed black man in his grandmother’s backyard, and Louisiana officials declining to pursue criminal charges against officers in the high-profile shooting death of Alton Sterling. In 2017, Texas law enforcement officers injured or killed 158 people in shootings, according to data from the attorney general's office. A quarter of the shootings involved a black individual, and 16 percent of the injured or killed were unarmed. Gonzalez said after Thomas’ shooting that he was concerned by Brewer’s use of deadly force since the deputy was armed with a Taser as well. He said during a news conference that Thomas was “obviously in a state of crisis of some kind.” Two of Thomas’ children were killed by their mother in 2016, according to his sister. 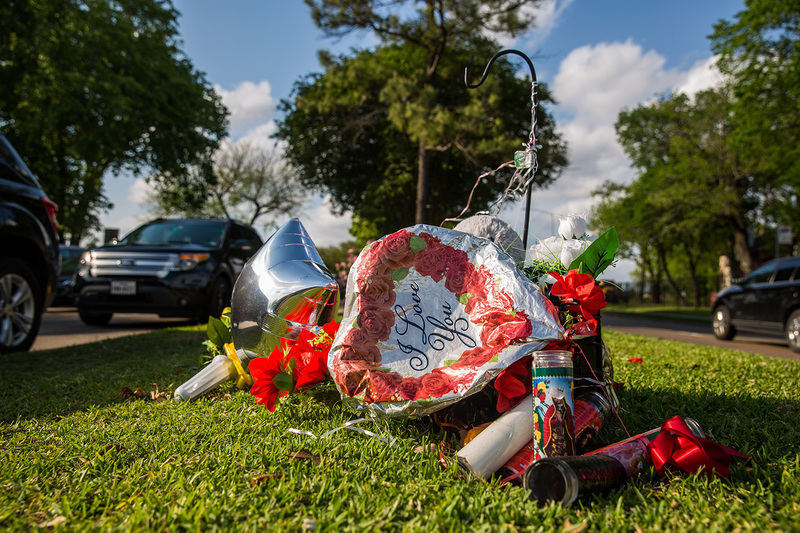 At the meeting Monday, Gonzalez told residents and members of Thomas’ family that his agency and the Houston Police Department were expediting their investigations, departmental and criminal, to get answers for the community as quickly as possible. Jackson Lee, however, had already made her judgment. She said to the family that she would fight for them in the “unjust killing.” She mentioned a bill she filed after the fatal shooting of Michael Brown in Ferguson, Missouri, to increase police accountability, including a national task force on law enforcement oversight and collecting data nationwide on police practices. “In these specific cases and these specific instances, those would be left up to local authorities to make that determination and not something for the federal government to weigh in to,” Sanders said. Locals are well aware of the federal government’s shift away from police shooting investigations. 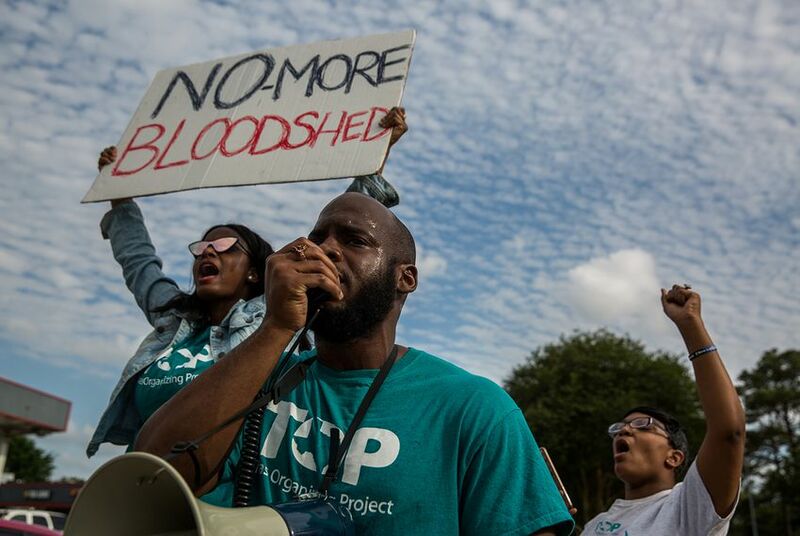 Tarsha Jackson, the criminal justice director of the Texas Organizing Project, said before the meeting that the federal government could enact policies on accountability and training but that she’s not hopeful under U.S. Attorney General Jeff Sessions. “We have to rely on our local administration to put some policies in place to protect us,” she said. Gonzalez, for his part, said he has started a “very aggressive campaign” to provide deputies with crisis intervention training. Last year, state lawmakers passed the Sandra Bland Act, which increased the number of hours of de-escalation and crisis intervention training for all law enforcement officers dealing with people with mental impairments. It also added training in dealing with all citizens, including techniques to limit the use of deadly force. That statewide training program by the Texas Commission on Law Enforcement began rolling out for officers this year. At the hearing, Johnson, the state representative, brought up his failed legislation from last year to have a biannual psychological exam of law enforcement officers. He said he would file the bill again, stating that in a decade, significantly more officers died of suicide than in the line of duty by another person. “When we have more officers committing suicide than being killed in the line of duty, we have our priorities mixed up,” he said, mentioning the bill that granted nearly $25 million for local police departments to get bulletproof vests. Near the end of the meeting, Thomas’ sister, Kita, spoke directly to the elected officials overseeing investigations into her brother’s death. She paced with the microphone in front of the stage, sometimes yelling, often sobbing, for about a half hour. She talked about them having only each other after the loss of their mother when they were young, and how Thomas struggled after the murders of his two children.